Nilofer Khan puts the Moza Mini-MI, world’s first gimbal with wireless charging on BP’s test bench. How does it fare? Since the introduction of handheld stabilisers, videographers have been able to shoot creative angles without shaky or blurry footage. To make things easier, Gudsen launched the world’s first gimbal with wireless phone charging—the Moza Mini-MI. Let’s see what it has to offer. 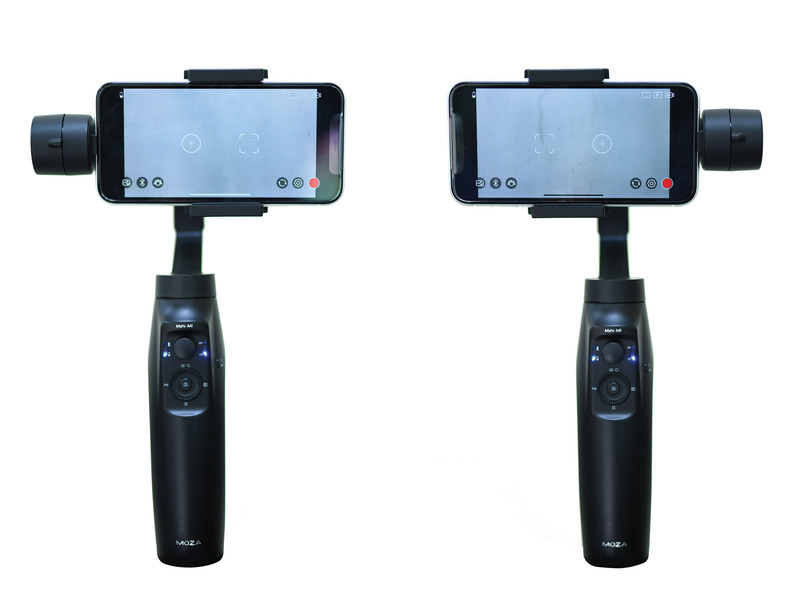 The gimbal’s 3-axis stabilisation features an independent control system for each axis—roll, pitch, and yaw. These axes can be controlled individually by eight different modes. Additionally, there are two more modes—the Inception mode and the Sport Gear mode. The Inception mode allows you 360° rotation in roll axis without limits. You can also set the speed of the rotation in the Moza Genie app. The Sports Gear mode can quickly respond to sudden delicate movements, allowing you to shoot fast transitions in one single shot. Moza Mini-MI’s wireless phone charging is only available for phones with wireless charging facilities. There are two knobs located closer to the motor—the Adjustment screw and the Vertical Shooting Screw for balancing and adjusting the phone. 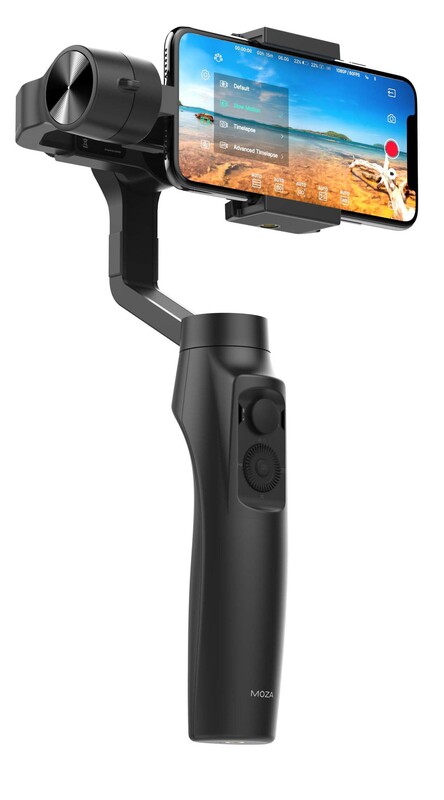 A USB port that is placed right next to the clamp allows the gimbal to supply power to charge your smartphone, and a Micro-USB port at the base of the hand grip to charge the gimbal. There are four ¼-inch accessory mounts; two of them are placed on the phone holder for attaching a microphone or video lights (it may add to the weight of the load), and the other two are situated at the back and the bottom of the handgrip. I had used two phones for the test—the Apple iPhone 7 and the Xiaomi Mi A2. For the iOS edition, the gimble offers numerous options. On the rear, the Camera mode has six options—Photo, Light Painting, Video, Slow-mo, Time Lapse, and Advanced Motion Time Lapse. In the Professional mode, you can set the Shutter, ISO, Focus, Exposure, White Balance, and Zoom. Compared to that, the android app has fewer features. 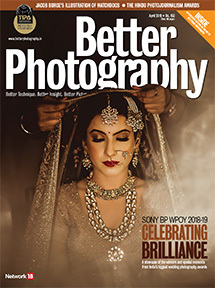 For instance, the Shooting mode (Camera mode) doesn’t feature the Slow-mo video and Light Painting mode; and the Professional mode does not offer Shutter and ISO controls. There are different Focus modes—Auto, Infinity, Fixed, Macro, Continuous Video, and Continuous Picture. 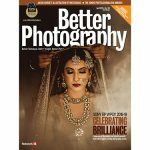 Both the editions also include Resolution, Spirit Level, Flash, Anti-shake, Grid, and Filter options. You can also manually calibrate your gimbal in the app. The Moza Mini-MI’s roll arm can be set to the left and the right side. It designed in this way to accommodate different charging ports and audio jacks. Moreover, it also helps to adjust the center of gravity to balance the phone. The gimbal’s buttons, the dial wheel, and the joystick have been ergonomically placed well. The buttons help you access the axis modes. The design is sturdy, and also gives a good grip to hold. It comes with a small tripod stand of its own. Before you mount your phone on the gimbal, you have to mount the gimbal on the tripod stand. It is difficult to mount your phone on the gimbal without any support. The tripod stand helps you to balance the phone. However, while using the Mi A2, I was unable to use the home button because it was stuck inside the clamp. In some devices, you can wake up your phone using the touchscreen. For the Mi A2, I had to place the phone in such a manner where the button would be accessible by keeping a gap between the phone and the roll arm, like you’re supposed to. However, if you haven’t balanced your phone correctly; the gimbal vibrates continuously to warn the user. The gimbal is quite easy to set-up, even for beginners. All the axis modes have extremely smooth movements. The Moza Genie app for iOS has AF issues whereby the focus tends to shift unnecessarily. It happened frequently. If you use the phone’s native camera software, you won’t face this problem. As for the android app—the image appears stretched. But when you see the end result, the footage and pictures have a normal aspect ratio. Moreover, the app on the Mi A2 had problems with its Filter mode. The live effect was visible on the screen, but the final image didn’t have the filter applied. I wanted to check if the same issue occurred with higher-end android devices such as the Pixel 3 XL. On these phones, the app does not stretch the image. However, this is a common problem with other gimbals. It will be resolved with a firmware update. Yet, the tracking mode has its own set of problems. For instance, in crowded areas, the tracking box would suddenly shift to other people who walked past the subject. At times, when I was tracking an object, the mode would inexplicably stop. The gimbal can perfectly track single subjects against simple backgrounds. I was quite impressed by how quickly the gimbal was able to adjust the exposure while recording or tracking a subject. Priced at Rs. 9250, the overall performance of the Moza Mini-MI was quite good. The iOS app has more features as compared to the Android app. Considering the quality, the stability, the built, and the price, the gimbal is a good investment for professionals videographers, bloggers, serious enthusiasts, as well as hobbyists. As for photographers, you’ll enjoy shooting time-lapse videos with it. WHAT WE LIKE Smooth movement of the axis, wireless charging, Time Lapse and Inception mode. WHAT WE DISLIKE Tracking mode. WHY BUY IT The gimbal is great for blogging, short videos, interviews, time-lapse, and value for money.